After a parade through downtown, Genoa Marine Cpl. 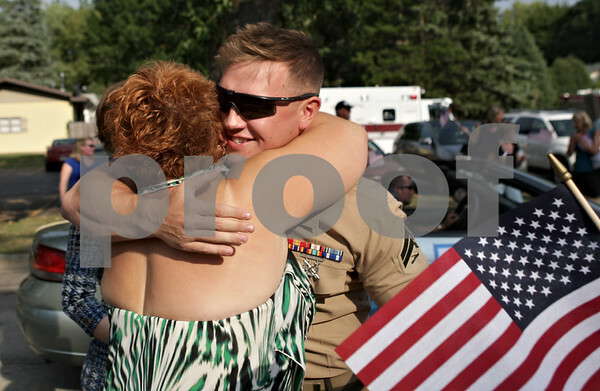 Christopher Wilkins is hugged by his mother, Robin Grabowski of Belvidere, outside the Genoa Veterans Home on Saturday. Wilkins, a 2009 Genoa-Kingston High School graduate, had served in Afghanistan. Wilkins and his wife, Alexandra, are expecting their first child in September and friends and family held a baby shower after the parade.